No way!! So freakin adorable!!! 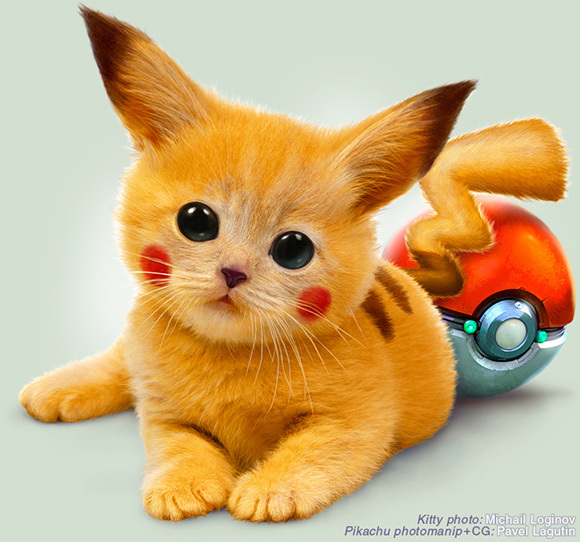 Artist Pavel Lagutin took an ordinary photo of a kitten and turned it into the electrifying Pokemon known as Pikachu. Pikachu is a rodent. That is kind of the opposite of a cat. Though Pikachu has sort of stylistically evolved since its first incarnation as a pudgy little pika.